Former President Ali Abdullah Saleh was killed on Monday after the collapse of his alliance with the Houthi rebels controlling the capital, opening a new chapter in a conflict that is part of the regional power struggle between Saudi Arabia and Iran, as WSJ reports. 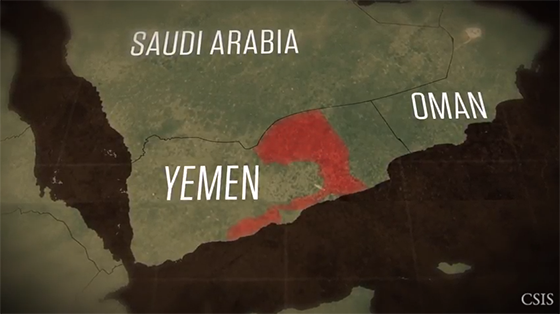 And, see this interactive timeline from CSIS Missile Defense Project: The Missile War in Yemen. Arab nations and Palestinian officials have warned of dire consequences if the United States recognizes Jerusalem as Israel’s capital, including potential unrest and an end to the peace process, amid last-minute lobbying to prevent President Trump from making the move, as the Washington Post reports. And, for more than two decades, successive U.S. presidents have signed a waiver every six months that allows them to delay a move of the embassy from Tel Aviv to Jerusalem on national security grounds. President Trump has until Dec. 4 to sign the waiver. The United States and South Korean air forces began their biggest-ever joint drill Monday, carrying out simulated strikes using 230 aircraft over South Korea, as Newsweek reports. NYT reported the drills would include some of the military’s most sophisticated and powerful aircraft such as B1-B lancer bombers and stealth F-35 Lightning II fighters and F-22 Raptors. It is South Korea's largest deployment of stealth-fighter warplanes ever. — CSIS’s Sue Mi Terry. Yemen’s humanitarian crisis has been compounded and accelerated by attacks on the health care sector. Chapter 4 of The New Barbarianism, “Yemen’s Cage,” takes an on-the-ground look at the struggles of those inside the war-ravaged country—acute malnutrition, a rising famine, an outbreak of cholera, and over half of the population with no access to health services. (Photo credit: Mohammed Huwais/AFP/Getty Images.) 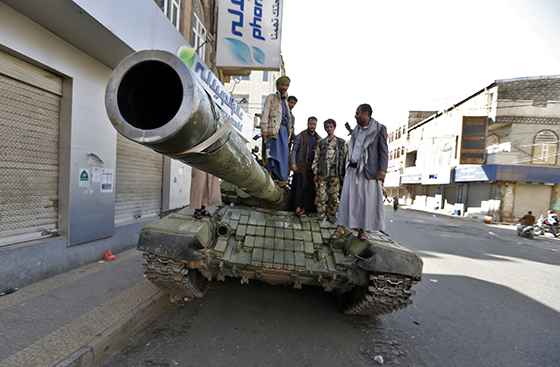 Huthi rebel fighters are pictured atop a tank in front of the residence of Yemen’s former president, Ali Abdullah Saleh, in Sanaa today. The CSIS Project on Nuclear Issues will host the “PONI 2017 Winter Conference,” featuring presentations from nuclear experts and a mock trial scenario examining nuclear terrorism. At 2:00 p.m., CSIS’s Simon Chair in Political Economy will host a conversation with Dani Rodrik on his new book, Straight Talk on Trade: Ideas for a Sane World Economy . And, at 4:00 p.m., join the Wilson Center for a conversation on the importance of equal representation in international law. Today, CSIS hosted “Security in the Maghreb,” a discussion on terrorism in the region, with a keynote address by Representative Gerry Connolly (R-VA). China’s political influence stretches beyond its borders, as it seeks to shape both public opinion and domestic policy in countries around the world. The newest episode of ChinaPower explores the various methods China uses to influence policy worldwide. One of my favorite Evening readers took me to school last week. “Did you know that there was rock and roll in the 1950s?” he asked with a smile. It’s true, the majority of my Evening Smiles come from 1968 to the present. But I do love rock’s pioneers. Jerry Lee Lewis, a.k.a “The Killer” absolutely destroys me every time I listen to or watch one of his incendiary performances. The Beatles changed the world when they appeared on the Ed Sullivan Show in 1964. However, it must have been quite a revelation seven years earlier to see The Killer tear up the stage on Steve Allen’s program. What a smile!